Real Monstrosities: What's the Difference Between Damselflies and Dragonflies? 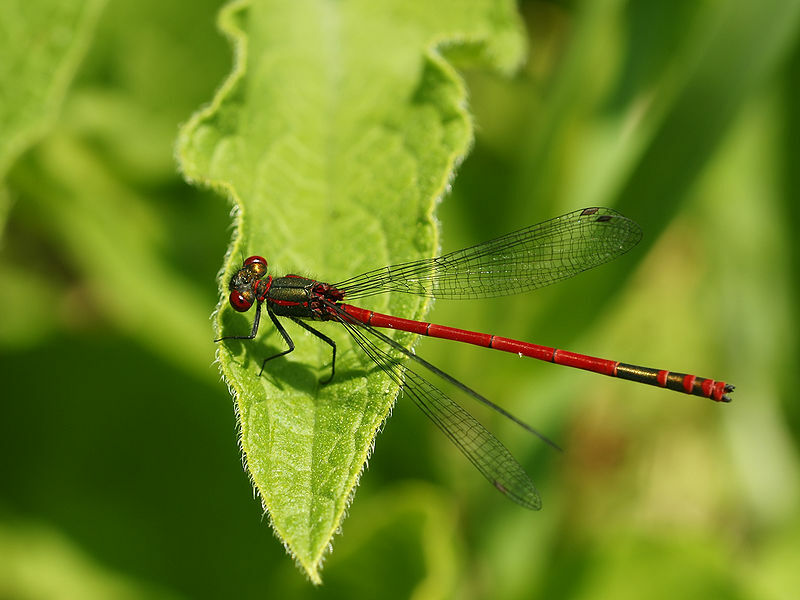 What's the Difference Between Damselflies and Dragonflies? 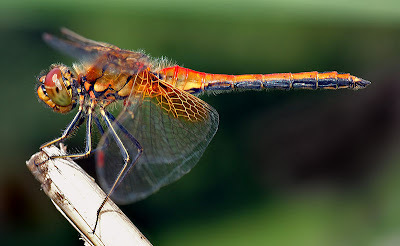 Dragonflies and Damselflies together form the order Odonata and also happen to comprise some of the objectively best, living things in the world, ever... FACT! Being so closely related you can appreciate that they'd be pretty similar, but there are also some clear differences. It isn't that the local villagers have to offer up a Damselfly every year to stop the ferocious Dragonfly from coming into town all angry and hungry, but the Dragons are the more formidable beast. Dragonflies tend to have a more robust and stout body shape when compared to the much more slim and delicate Damselfly. 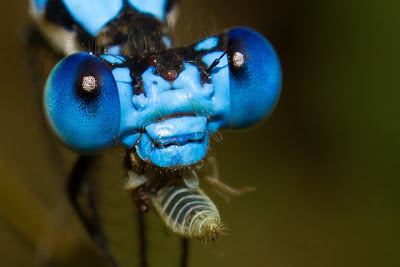 The lady above is on the extreme end, but Damselflies never have that kind of chunkiness. 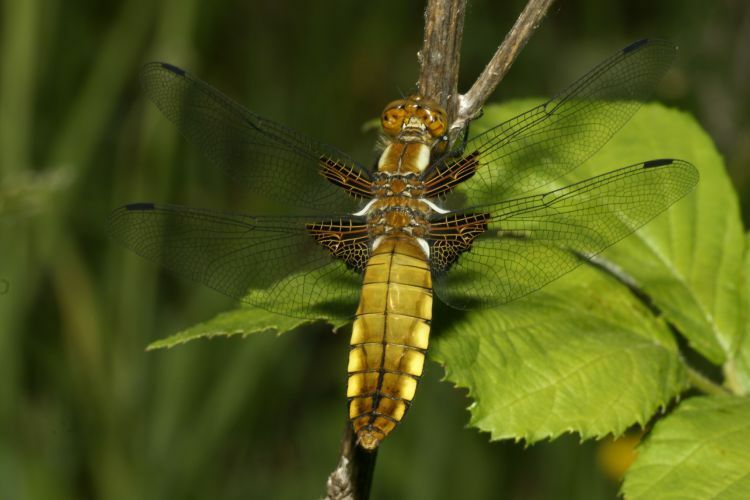 Dragonflies have hindwings that broaden at the base. 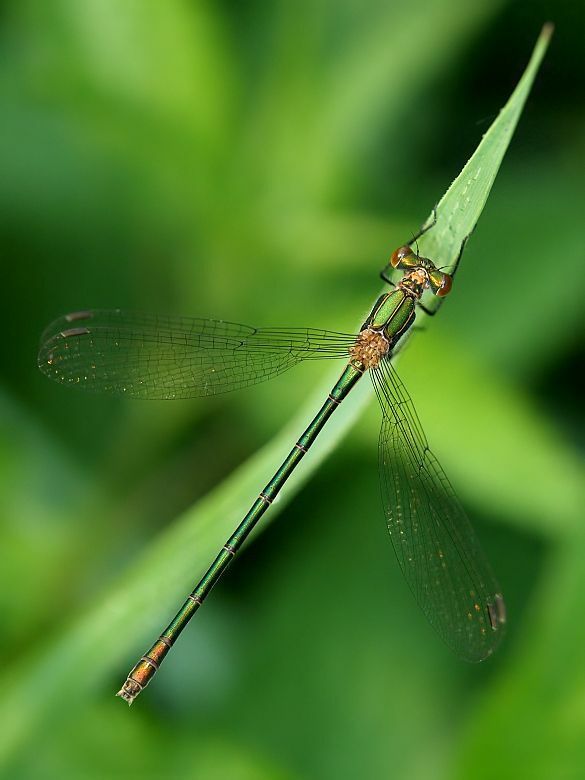 Damselfly wings are all approximately the same size and shape, a shape that gets extremely narrow at the base. The handsome fellow above demonstrates the hindwings to an unusual extent, but I've decided that I want to be him when I grow up. When at rest, Dragonflies hold their wings across like an aeroplane. 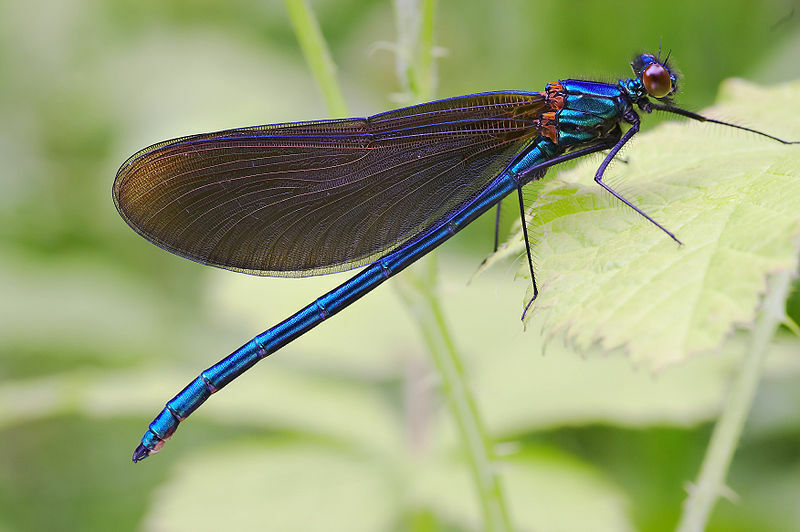 Damselflies on the other hand, hold their wings up, together and above the body. More like one of those folding-wing aircraft. I think I might be a little bit in love with the young, male Damselfly below. This makes me feel confused. 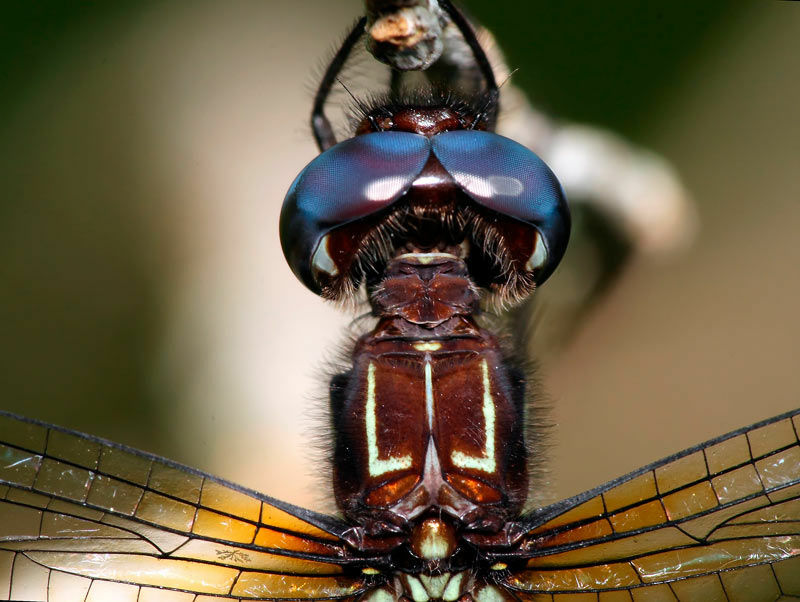 Dragonflies are simply more powerful and impressive in flight. Damselflies are much more dainty in comparison. There are also visible differences between Dragonflies and Damselflies when they are young and don't even have their wings yet. At this age they are aquatic or semi-aquatic so they need gills to breathe underwater. They're still fearsome predators, though! 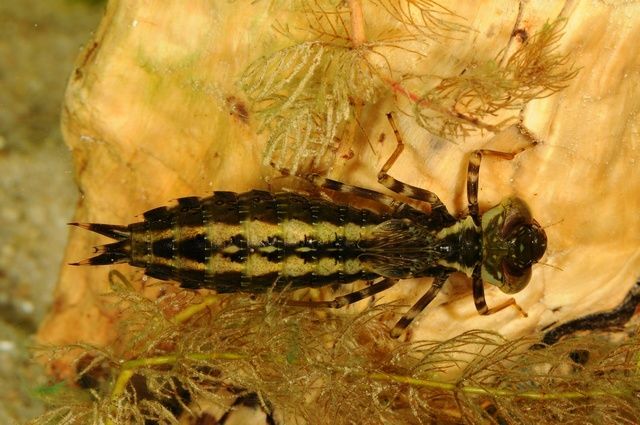 Dragonfly nymphs, like the adults, are much stockier in shape. From the rear end you can see some small appendages sticking out, but their gills are internal so you can't see them. 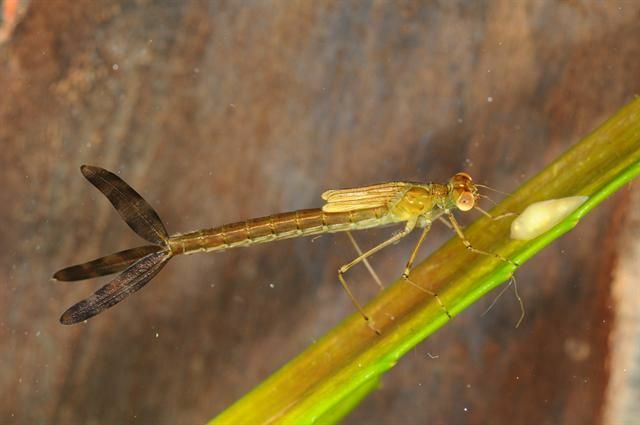 Damselfly nymphs are much more slender and have 3 external gills on their rear-end. In any case, if you see one of amazing creatures you can be sure with 100% certainty that you are witnessing one of the best anything this planet has to offer. And that's the TRUTH! I have to agree that these are one of the best creatures around! Their larvae eat mosquito larvae (which is great, I hate mosquitos! ), the adults eat pests which live above water... and watching them is amazing! I remember that when I was little, I was really excited when I saw a dragonfly or a damselfly flying around or sitting on a plant. I wanted to watch them for the longest possible time so I did my best to avoid scaring them off! The pictures you posted here are completely stunning. I love those eyes. Btw. what does the label "multi monster" stand for? I have looked at more posts labelled as such but I am not sure... does it simply mean you mention more than one species in the post? I'm glad you have such appreciation for odonates! I feel every childhood should have them featured in some way. It was extremely fun, but also difficult, selecting those pictures! And yeh, you're right about Multi Monster. 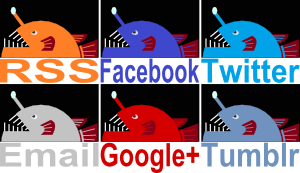 At first it was when there were about 8 or so in a theme, then it seemed I ought to use it for when there's more than one. 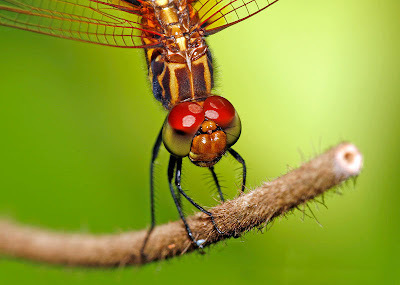 When i was a kid id keep dragonflies as pets. Not years and years but for few minutes id catch one keep it on my finger and let it go. The most beautiful one that i saw was emerald and sapphire colored, it was elegant and i instantly fell in love with it, i tried to catch it but it was too swift and it flew away. Till this day i thought that it was a figment of my imagination, apparently that was a damselfly..
What a charming memory! Glad I could help you out a bit!